It’s a community of bloggers (or aspiring bloggers) building successful online businesses. A place for connection, answers, and streamlined trainings to keep you focused on and working towards YOUR goals. All creative bloggers want to be the Crème de la crème. Our Blog EDU membership model is designed to meet you where you’re at and take you where you want to be! 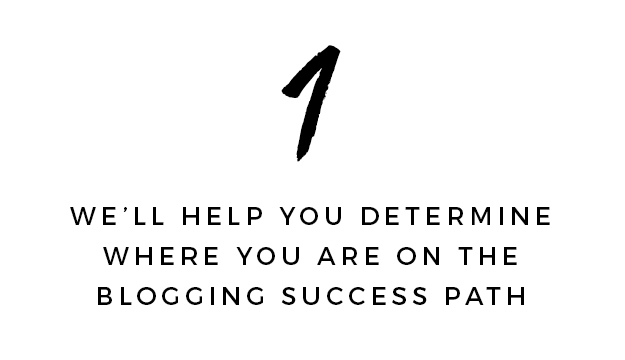 Think of Blog EDU as the “You Are Here” on the Blogging Success Path, because how do you know where you’re going if you don’t know where you are? No more going in circles – you’ll get complete clarity around what you need to do in order to build a wildly successful blog. 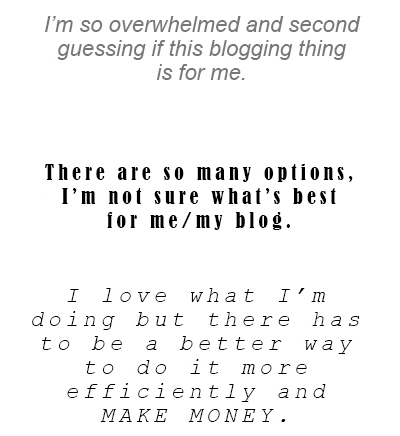 The Novice – you’re thinking about or just starting a blog. You’re right at the start of your blogging journey. The Designer – you’re defining your audience and building a solid foundation. The Go-Getter – you’re building your audience and growing your pageviews. The Money Maker – you’re monetizing, crafting money-making strategies and working with brands. The Crème de la Crème – you’re determining your long term strategy to leverage your success and turn your business into an empire. Once you’re placed in the correct stage of the blogging success path, we’ll teach you step-by-step what you need to do to see the results. >> No more overwhelm. >> No more feeling stuck. >> No more isolation. We’ll provide support and LIVE Q&A’s in our private Facebook community. 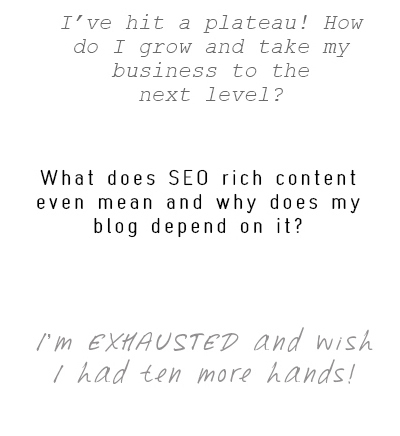 You’ll get your questions answered, support, recommendations and feedback on your blog. I’ll be there, my team will be there and all the other bloggers in the membership will be there to help you too! 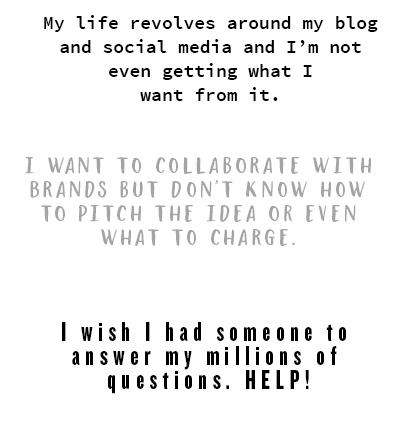 A private online Facebook community of creative bloggers – because you don’t have to do this journey alone. >> Connect >> Help each other >> Gain feedback to help you meet your goals! Enrollment is NOW CLOSED! And opens May 2nd at 12:01am PST. If you want to start and/or revolutionize your blog — the time is coming. I can’t wait to work with you. See you in the membership!